Who is at Fault in a Prescription Liability Case? When you see a physician or pharmacist about a prescription medication, you trust he or she will fill your prescription properly. Unfortunately, it is not uncommon for a physician, pharmacist, or pharmaceutical company to breach a patient’s trust. According to the U.S. Food and Drug Administration, there are approximately 100,000 reports a year that cite prescription medication errors as the cause of injury. The FDA routinely monitors these reports to determine the cause of the error and to establish liability. However, because of the complex nature of prescription medications, the question of liability can be a tough one to answer and may involve tracing an error all the way back to the development of the drug’s molecular structure. Of course, some errors may be easier to spot and occur directly in the pharmacy. That said, depending on the type of prescription error that occurs, a different person or entity may be liable. Here we will discuss to whom responsibility befalls in prescription drug liability cases. Incorrect instructions for administering the medication. These errors can lead to serious injuries and even death. When an injury does occur, who is liable? Physicians, nurses, and other clinic or hospital staff have a responsibility to warn of potential side effects. If they fail to do so, they may be held accountable for any injuries or other consequences a patient experiences. A pharmacist’s job is to dispense prescription medications along with all necessary information. Each medication must be correctly labeled with proper dosage and instructions. A pharmacist must also check for potential drug interactions. Failure to do so could lead to serious injury to a patient. If it does, he or she may be held liable. Manufacturers hold the responsibility of producing a quality product along with a list of side effects and instructions for use. If they fail to meet the standards they promise, they should be held accountable. These cases can affect a large group of people. Research labs perform comprehensive testing of each drug that goes through their lab. Should the lab release incomplete or falsified results, it could be held liable. Do you think you have a prescription liability case? Determining fault in these cases can be difficult, so you will need the best legal assistance you can get. 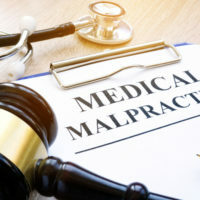 Contact an experienced Miami medical malpractice lawyer to help with your case. Some cases may impact a large number of people, so it is important to file your case with an attorney. If you have any questions about a prescription error case or wish to file a lawsuit, contact the office of Spencer Morgan Law.